We believe that everyone should have the best chance they can get to stop smoking. The power to control your nicotine precisely is crucial to that journey. That's why we have created the dual-tank, nicotine-controlling Enovap. 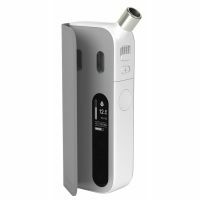 ENOVAP PERSONAL VAPORIZER Change your nicotine level instantly Thanks to its double tanks, the Enovap gives you fine control ove..